If you’re a Virginia, Washington DC or Maryland resident or business and you need to locate something buried underground, we have the extensive field expertise and latest technology to get the job done. We inspect lines for both residential and commercial property. Give us a call today to get started. Get your project started by getting a free estimate. The process is quick and easy. We can quickly locate - in real-time - both metallic and non-metallic underground utilities and other anomalies with our highly-advanced, highly-accurate Ground Penetrating Radar technology. Get fast, pinpoint-accurate detection of water leaks - sewer lines, water lines, plumbing pipes - whether your leak is underground, a slab leak, or behind a wall we have the state-of-the-art technology to quickly find your leak. Using Ground Penetrating Radar, we can quickly locate rebar, find conduits and identify post-tension cables before it’s too late. Drilling or cutting through concrete floors, walls or ceilings can be dangerous and very costly. Using our Utility Locator equipment, we induce a dedicated signal on the broken wire. This signal travels into the ground and we use an A-Frame antenna that tells us exactly where the ground fault is located and its depth. The problem with cracked pipes is that they can be difficult to diagnose and even harder to locate. That’s why at Line Locators, we are now offering the service of smoke testing. Smoke testing is a form of pipe testing that is fast, efficient and accurate. Knowing the location of underground lines is your first step in any project that involves the excavation of dirt or drilling through concrete. Water pipes locators, electrical conduit, and a variety of other utility lines form a complex web beneath most properties. Accidental damage done to any part of this infrastructure will, at the very least, result in a costly delay of your project and an interruption of service. Line Locators gives you the confidence to start your project off right. Residential and Commercial pipe locator projects both need reliable information before they can begin. Whether you’re planning a major upgrade for a business or simply doing a small Improvement in the backyard, accuracy is of the highest importance in line locating. Because of this, we use modern technology combined with proven trade practices. The result is a high-precision process of locating plastic pipe, metal pipe, power cables, phone lines, and much more. 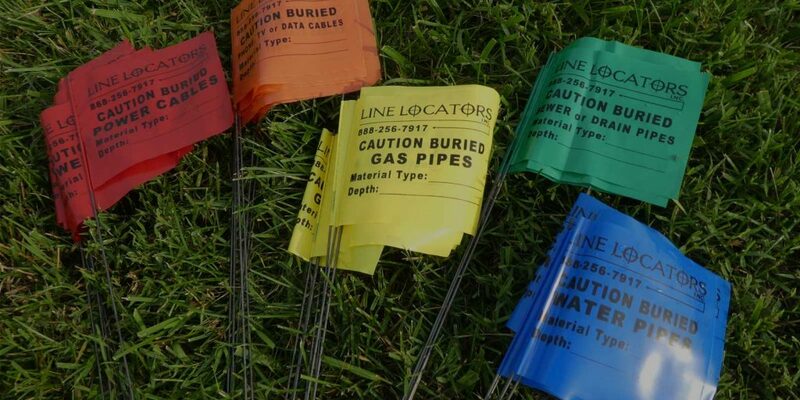 The other service we offer at Line Locators is water leak detection, PVC pipe locator, underground line locator, water pipe locator. Whether it’s underground or behind a wall, we can find it. Our non-destructive, non-intrusive technology will provide you with the answers you need quickly, without causing unnecessary damage. Utility lines aren’t the only problem you may encounter when starting a project. What you see on the surface rarely tells the full story of a property’s history. Buried debris, abandoned storage tanks, or a long forgotten septic system can often be found in what appears to be an otherwise empty area. These objects can cause issues even if there is no groundbreaking, for example, a metal container that’s rusting through and could collapse causing unstable ground. We offer the peace of mind that comes from knowing exactly ‘where you stand’. One of the key ingredients that make Line Locators such an excellent choice is the personnel. 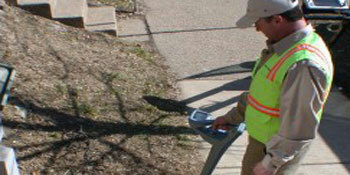 Our Water Line Locator professionals are highly skilled experts in their particular fields. From our technicians to our dispatchers, every water pipe locator team member receives the most up-to-date training available. They stay in regular communication with each other and all parties involved in your project. This ensures that everyone has the most current and accurate information possible. Having state-of-the-art equipment is vital to achieving the most accurate line location or leak detection possible. It starts with our service trucks which are clean, efficient, and reliable. Each vehicle arrives on site with all the equipment necessary to perform every type of service we provide. 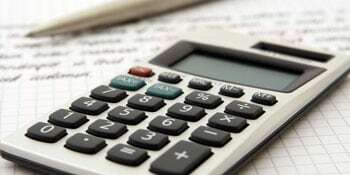 All projects have a budget. Using line location will give you a much clearer picture of what your costs will be when determining that budget. The first step is to get a quote from us. We offer Water Pipe Locator free estimates, and the process is quick and easy. 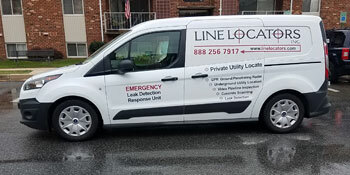 At Line Locators we have a wealth of experience in the fields of utility line locating and water pipe leak detection, and our commitment to excellence is unwavering. You’ll receive verified information that will allow you to make an informed decision about your project, no matter how large or small.